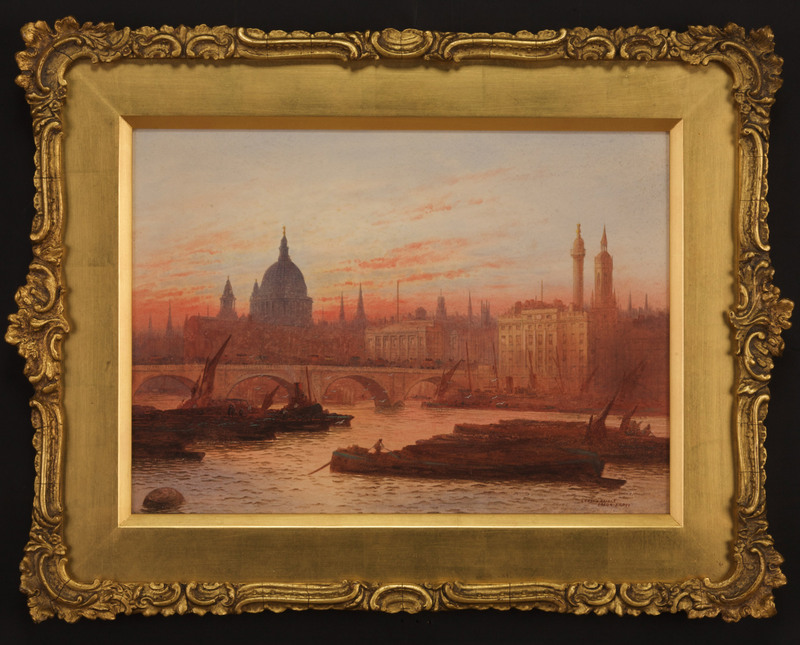 London Bridge by Frederick Goff, painted in watercolour and within a fine period gilt gesso frame. Signed and titled lower right. Frederick Edward Joseph Goff was known mainly as a London topographical painter. He specialised in painting small scale views of late Victorian London in watercolour. Using a magnifying glass, he was able to skilfully paint complicated architectural subjects in the minutest detail. His works were exhibited at the Royal Academy, the New Watercolour Society, the Royal Institute of Painters in Watercolour and the Glasgow Institute of Art. This is an example of one of Goff's larger works.